I feel very ready to fall in love. As a bonus, I’ve seen all of the movies, so I know exactly how it should happen. My eyes are keenly on the look-out for anything that looks like what I think love is. I’ve yet to find it, though. Probably because my love will come disguised as something else, as something other than the period drama/romances I’ve steadily consumed over the past decade. My housemates and I have watched Emma and I have essentially fallen in love with Mr. Knightley. Of all of the male leads in Jane Austen’s novels, I believe he is my favorite. Sensible and kind, he is persistent in loving Emma and seeking after her own good. He is firm in his corrections of her behavior yet has a tender place in his heart for her. He is everything a young man ought to be. While not entirely, wildly consumed by his emotions for her, he admits in his proposal that if he loved her less he might be able to talk about it more. I melt inside as I watch the relationship unfold. His pure, disinterested love for her is arresting. At points he is jealous of her attachments to others, but he always seeks after her best. Faith isn’t mentioned much in his lifestyle, yet he embodies so many of the works of mercy every Christian ought. I’m sold. I’m in raptures about the fictional creation of Jane Austen’s mind. He seems to be the perfect composite of all things good. The only matter that is left unresolved is the simple thing of willing him into existence. Despite the manifold attractions of Mr. Knightley, I have also recently fallen in love with another man. However, this one is real although deceased. Bl. 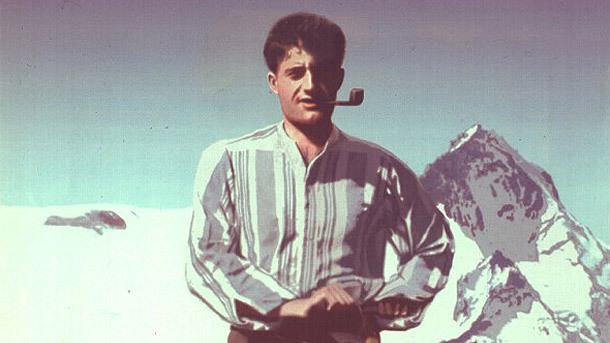 Pier Giorgio Frassati has been pulling at my heart lately. This is largely because I’ve been reading a biography about him (written by his sister) and teaching a unit on him for a new class this semester. So many things I find on Bl. Pier Giorgio trumpet him as the “ordinary Christian” and one who shows that all are called to holiness. When I examine his life, however, I find much that seems beyond me, much that seems to be very extraordinary. He is full of joy and vivacity but also contemplative and compassionate. While born into a family of affluence and influence, he desires to give his money to the poor, to live his faith ardently, and to devote his short life to service. Generosity overflows from his person as he gives his very coat and shoes to those who go without. Wealth had no hold on him and the poor were not even aware that he was wealthy. Thousands of people come out at his funeral, people that his family had no idea he helped. There is so much about Bl. Pier Giorgio that I long to imitate. I have felt a particular desire to imitate, to a degree, his great service to others. Pier Giorgio was my age when he died. It makes me wonder how I have used my time so poorly while he was spending with gusto every moment of his short life. Of course, I am not called to be just like Pier Giorgio, but as a blessed in the Church, he is held out as an example of the lay faithful life. This love I have for Bl. Pier Giorgio is more than simple admiration. He is weedling his way into my heart, pointing out areas that need growth. Talking or thinking about him fills me with a great joy. I want to be like Bl. Pier Giorgio. If I had lived during his time, I would have wanted to marry him. As it is, I want him to be my particular friend. I want him to be someone in Heaven who is interceding for me, petitioning Christ for the graces I need to live the Beatitudes radically. Bl. Pier Giorgio Frassati, pray for us.